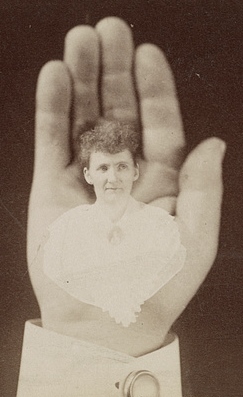 Heart and Hand (1896, Littleton View, U.S. Library of Congress, public domain). No research initiative is ever possible without the financial and volunteer assistance of family, friends, fellow researchers, grantors, and other supporters – particularly a research endeavor as large as the one behind 47th Pennsylvania Volunteers: One Civil War Regiment’s Story. The following is a partial list of the many individuals and organizations helping to shine a brighter light on the largely forgotten accomplishments of the 47th Pennsylvanians who fought so valiantly to preserve America’s Union. The progress made to date with this important initiative would not have been possible without their kindness and generosity. On behalf of my family, this is a wealth of information we never expected to find out! I will be sure to look into the other sources you recommended. Thank you for all of your help! I had a little time this morning and looked thru parts of your website, very nice, I am happy to see this type of research being done. There are way too may websites that don’t do the research properly, don’t dig deep enough or don’t cite their work. Wow, thanks for sharing this. It just may be the answer I was looking for! Thanks for putting together your Resource Links page. I was happy to come across it after doing some research on the history of Pennsylvania. Thanks a lot for the Color Guard piece. My guy, a sergeant, was the 4th of 5 color bearers for the 72nd PA shot down at Cemetery Ridge on July 3, 1863. This helps the context a lot. Outstanding article about an unfortunately obsure musician from the American Brass Band Period [Professor Thomas Coates]! Several years ago, I stumbled upon Coates’ Memorial while taking a lunch break in the Easton Cemetery. I have been fascinated by his story since then. I have just ordered sheet music for three of his band arrangements and plan to perform them on period instruments with one of my Civil War reenactment bands. My sincere thanks for your diligence in composing this biographical sketch! Thank you for your TREMENDOUS work … the detail that you’ve been able to find on these men is just incredible! Good to see some new material from underappreciated 19th corps regiments. What a wonderful surprise to receive the remarkable information you have compiled for the 47th Pennsylvania Volunteers. I have forwarded your email on to other John relatives that would be interested…. You certainly have a long list of great sources…. Thank you for all of your good works. Thank you for sharing an excellent post. My African heritage ancestors were active in both the North and South during and immediately after the Civil War seeking the best path for citizen enfranchisement of all African Americans. Great article [about Catasauqua’s Fuller family]. Always like learning something new. Wish the young would read this and learn why we need to keep America strong. The 47th Pennsylvania Volunteers have some AWESOME CW articles… Keep ‘em coming! I am his great great grandson! [William AlfredMcKee] I am amazed that I found this! Thank you! You are doing such a careful and thorough job with your research on the 47th and I am pleased to assist whenever I can. Thank you so much for this! I just found out yesterday that Bernard Brahler is my great great grandfather! We never knew we had a soldier in the family! We may even have a picture of him. For years we wondered who this Union soldier was in our old family album full of nameless faced. You just never know where a clue might come from. He seems to be the g-grandson of my 6th great grandfather, Griffith John. Thanks. Your veterans’ summary information was excellent and I’m sure will impress anyone who is looking up their ancestor.